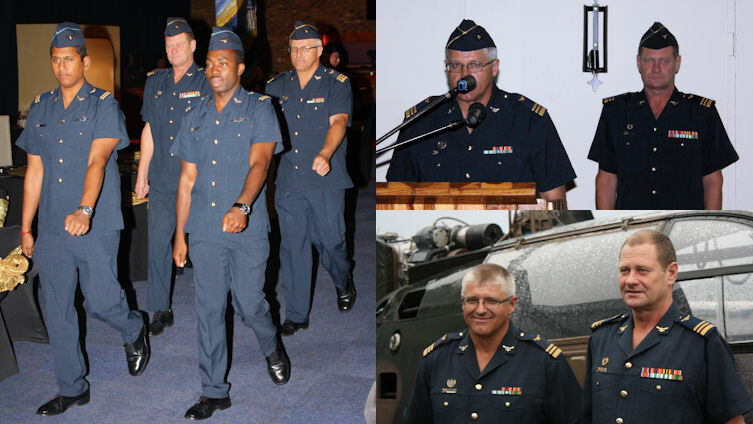 On the 15th of March 2012 the SAAF Museum hosted a Change Of Command ceremony at the Swartkop Air Force Base where Lt. Col. Willie Nel handed command of the South African Air Force Museum to Lt. Col. Mike O'Connor. 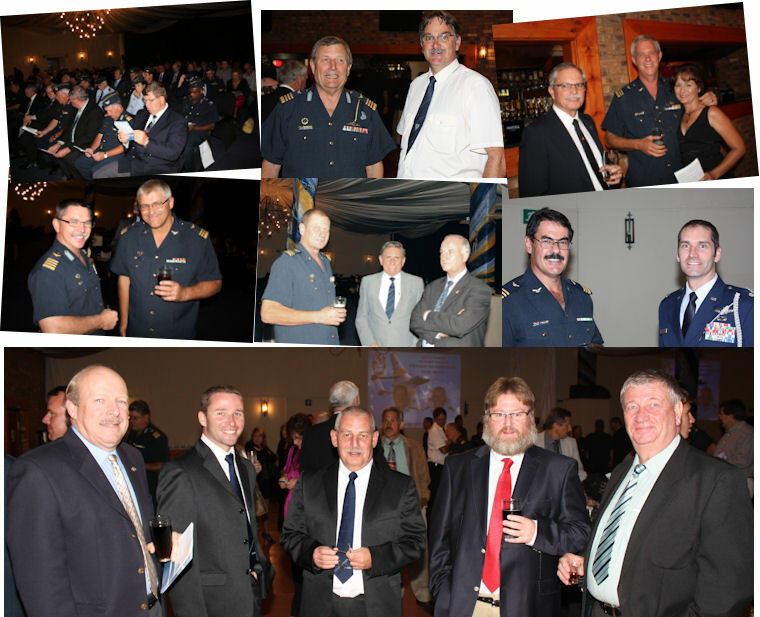 The event was well attended and many familiar faces also known in the civilian aviation industry such as Jeff Earl, Francois Hanekom, Rodney King, Lorry Kay, Des Barker, Kevin (Cuda) Currie and members of the museum friends were present. 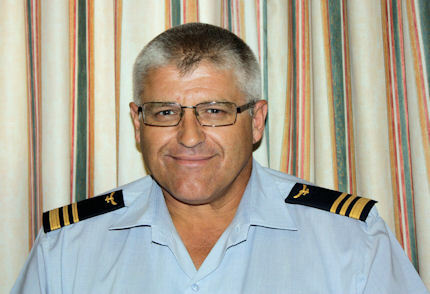 Willie Nel took command of the Air Force Museum in 2009 after a long and distinguished career in the South African Air Force since 1981 and will now assume a new role as SO ASU - Helicopters at the Air Force Head Quarters. But what does Willie leave behind? During my short visit to the museum it was clear that all the personnel who served under Willie's command have a culture of pride, a passion for aviation, committed to preserving the Air Force heritage and most of all, making the most with what they have. 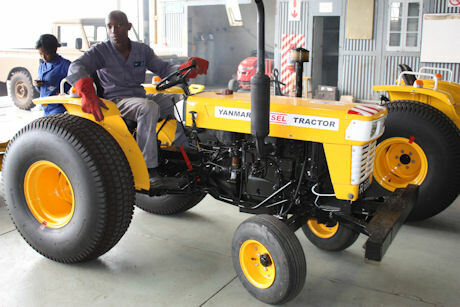 One simple example I noticed is the shortage of aircraft tugs and the innovation this unit displayed by acquiring small tractors considered as unserviceable, refurbishing them to a state where the thought of second-hand is the last thing that comes to mind. I was fortunate enough to be invited by Willie Nel and Mike O'Connor for a drink in what they call “The Warzone”. 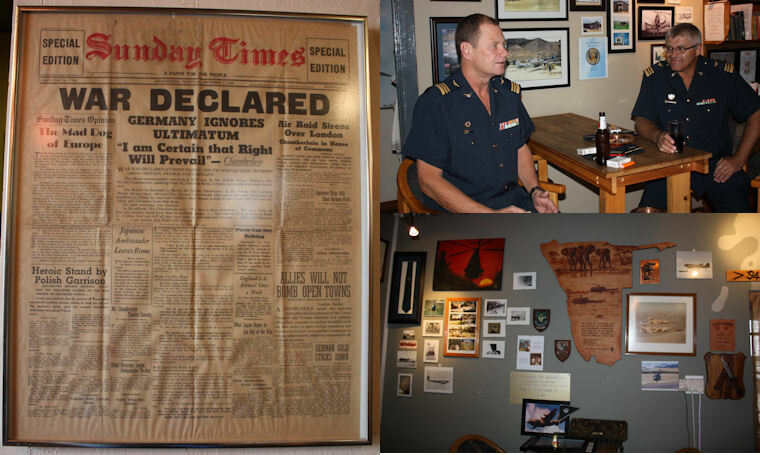 During the Korean War, a young officer from the Eastern Cape, Micky Rorke created pub “Rorke's Inn” where pilots of the Cheetah Squadron could relax. Willie and his team used photographs to replicate Rorke's Inn at Swartkop to the finest detail. 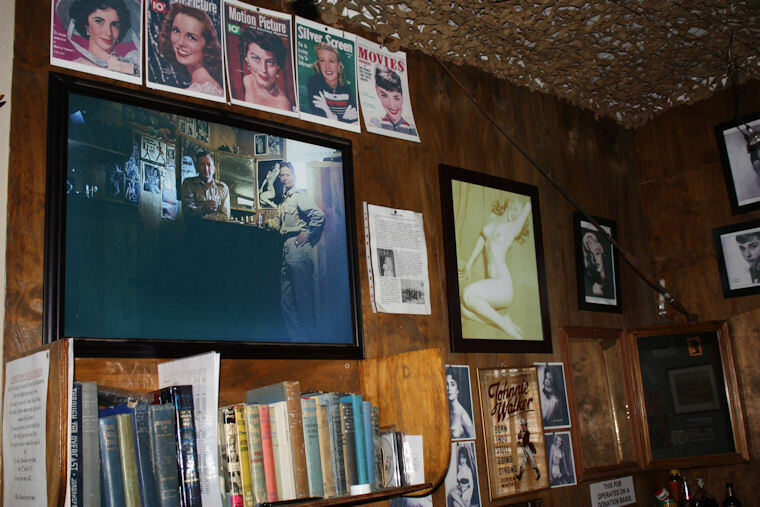 Even the Merlin Monroe poster and fishing rod stashed in the corner is added to make it as authentic as possible. Other walls in The Warzone commemorate various other wars in which the South African Air Force participated including World War II. Even an original Sunday Times newspaper of the day the war was declared. Lt. Col. Mike O'Connor started his career with the Air Force in 1985 as an operations and intelligence clerk. Throughout his career Mike successfully completed many aviation related training including accident investigation and also presented training courses in and outside South Africa. As the new commanding officer of the museum, Lt. Col O'Connor's priority is to build shelters for all the restored aircraft on display to protect them from the elements they currently endure. He is very grateful for the contributions made by “The Friends of the Air Force Museum” but also requires the general public's support by attending the museum's flight training days on the first Saturday of every month (except April when it will be hosted on the 14th) and of course also the Air Force Museum Air Show scheduled for the 12th of May 2012. Plans for an outdoor expo and combined events with other clubs are also on the cards for the rest of the year. We all wish Lt. Col. O'Connor the best of luck in his new position and we pledge our support to promote and preserve this part of our history for generations to come.